Lerone Bennett Jr. on “DuSable to Obama” in 2010, WTTW-Channel 11 (Photo: Chicago Sun Times). When I found out about Lerone Bennett, Jr’s passing, I was immediately struck by his sense of poetic timing. In life, Bennett had been an eloquent defender of Black history and a strident advocate for Black rights. His ability to turn a phrase was as obvious on the page as it was on the stage. 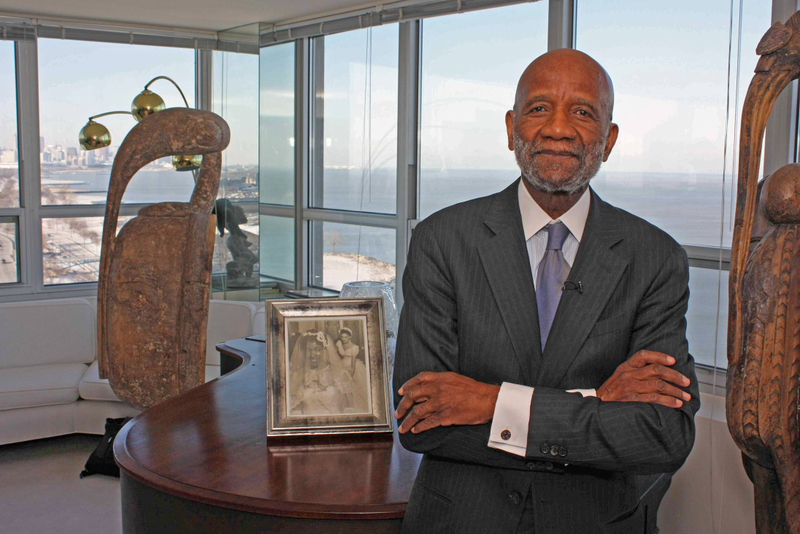 As the senior editor and in-house historian of EBONY magazine, Bennett’s incisive commentary helped to popularize Black history among millions of dedicated readers. As an author, educator and activist-intellectual, Bennett was willing to stand on the front lines of the movement as well as the front pages of the Black press. It seems fitting then, that his death would fall on the day we celebrated the 200th birthday of Frederick Douglass, another esteemed activist, journalist and educator. One hundred and ten years ago, he was staging sit-ins on Massachusetts Railroads. One hundred and six years ago, he was leading a fight for integrated schools in Rochester, New York. One hundred years ago he was denouncing hypocrisy and fraud with pre-Baldwin fury. Many scholars have written eloquently on Bennett’s life and work, including this insightful piece by Christopher Tinson, which was published on this blog last year. I do not wish to simply repeat such work, which ably summarizes the trajectory of Bennett’s career and his enduring influence both inside and outside the boundaries of Johnson Publishing Company. Instead, I would like to use this brief reflection to consider what Bennett’s work and legacy might mean for historians and activists in the present. Donald Trump celebrates the “greatness” of American history because he does not understand American history, and even less so the place of Black history within it. 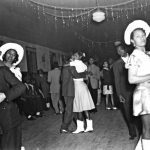 As Bennett argued, Black history constitutes a “total critique” of American history. It helps to turn American history inside out, “revealing it to be the precise opposite of what it claims to be.” Throughout his life, Bennett reminded his readers that “it is difficult, if not impossible, to understand American history without some understanding of the Black experience.” In turn, his work serves to place the current administration within a longstanding pattern of progress and backlash, but also points to how history can help us to resist such forces.